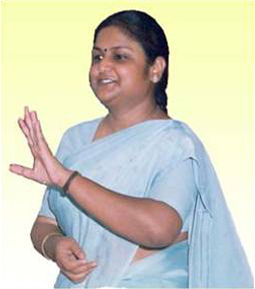 Ms. Sangeeta Sahu (Masters Degree Holder in Hindi) is a passionate trainer for Housewives and Workers Development Programmes. 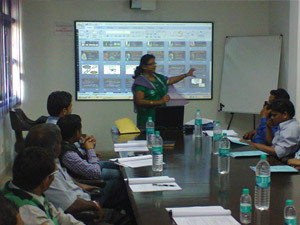 Her inputs are well experimented and experience based. 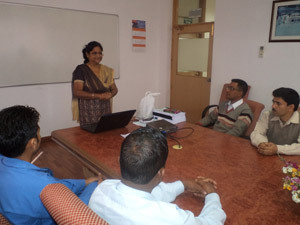 She has been associated with Human Resource Development Centre as faculty since last 18 years. 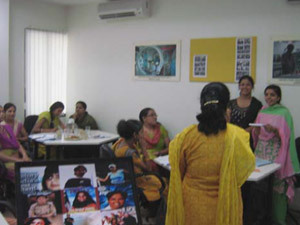 She has so far conducted Training for over 21500 Workers and Housewives on topics like Happy Family, Better Upbringing of Children, Better Home Management, Stress Management and Personality Development for Housewives, Good Work Habits, Joy of Work, Good House Keeping (5S), Improving Personal Productivity etc. 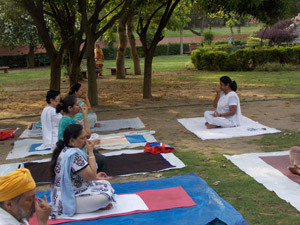 She is also a versatile Yoga Trainer and Practitioner. 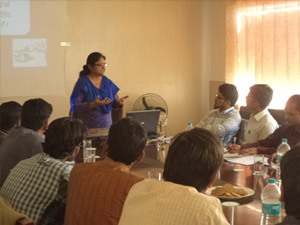 She has been Training Yoga to General Public every day and employees of organisation like Oil India Limited, Pragati Power Corporation Limited, Aludecor, Hindalco, Shriram Pistons & Rings, TATA Steel and Housewives as well as Workers Trainings for Hindustan Unilever, Nepal Unilever, Birla Cement, Ambuja Cement, Lupin Ltd, DSM Sugar, Pashupati Acrylon, Triveni, Riceland, Sona Koyo, Parle, Godrej Appliances, Orient Papers, Coca Cola, Max India, Becton Dickinson, GHCL, Lafarge, Whirlpool, Bongaigaon Refinery, RPG Cables, Bhilangana Power, Heinz India, National Fertilizers Ltd, Abhijeet Group, Jubiliant Organosys, PEPSI, Suzlon , VIP, HINDALCO, Cadbury, BILT , Jindal Steel, NTPC, Wire Fabricks, Roca, Kohinoor Foods, SOS Children, Ester Industries, Oil India Limited, Century Papers, Rajwest Power Ltd., Terex Equipments, Mother Dairy, TEVA API, Panasonic, Metzeller, Rane NSK Steering, Maruti Suzuki, ITC to name a few.